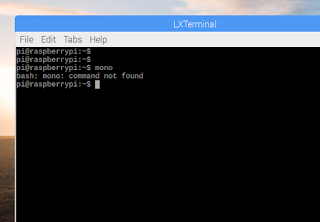 The only Linux I have is Raspberry pi, so I ran it on Raspberry pi. 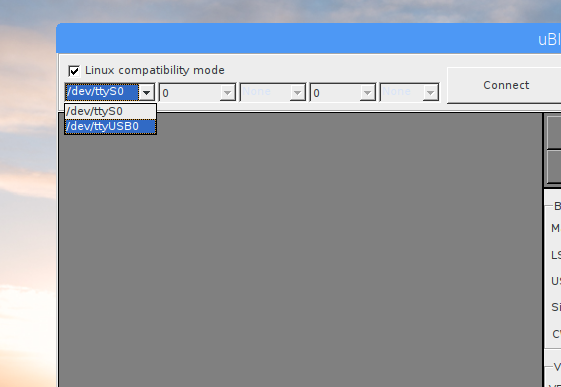 check 'Linux compatible' <-- It must be checked. See below for movie that have been tested with uBITX running on Linux. The .net framework 2.0 warning on mono but I kept it because it was running. If does not work, please request. I will compile for mono framework 4.0, that is very simple work. 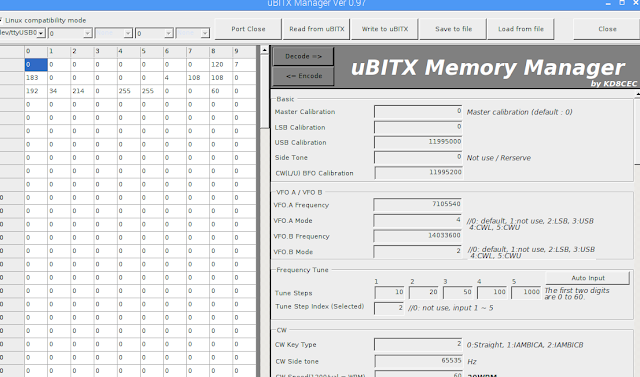 Thanks once more for the Linux version of the Ubitx Manager 0.97. 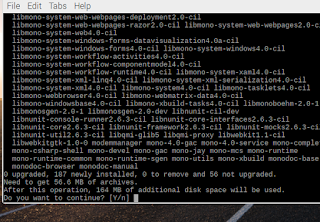 It works like a charm on my Ubuntu Xenial with mono. No problem at all. I have already used it to make test changes to Ubitx and also updated the starting screen with my callsign. 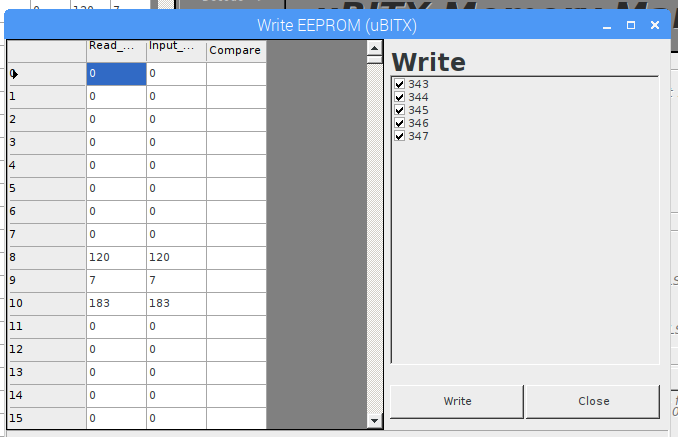 In the meanwhile I had uploaded version CEC 1.01 which is working fine. 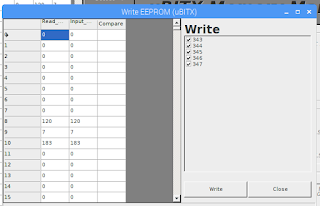 I have to test everything more extensively, but I thought of dropping you a line as I am not using RPi at the moment. Next test will be CAT control with FlDigi under Linux. Any comment will be advised to you. 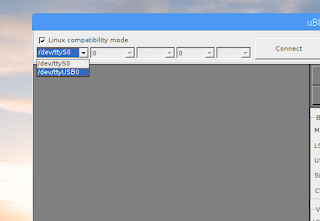 Also I am looking for an Xloader Linux compatible in order to totally get rid of Win environment. Of course I can issue the avrdude upload command with the file name and the rest from command line, but I guess I am quite lazy and prefer the window mode. If Xloader is written in Java and the author is willing to share the source, then there is no issue to have the .jar scripted for Linux. Anyway I have contacted the author for that. All the best for the time being Ian. I thought you were a Linux expert when you were talking about wine in the uBUITX group. If you have time, can you tell us how to use it on Linux? I did not even think Mono would be so perfectly compatible. Please let me know if there is some information that may be helpful. 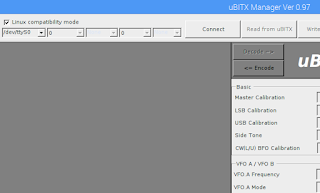 uBITX_Manager complains on my Linux Mint 18.3 environment - seems it wants mono v4. If that is not too much effort to do, it would be greatly appreciated. I just tested yesterday on Mint Sylvia the 1.01 Manager and it works fine out of the box. 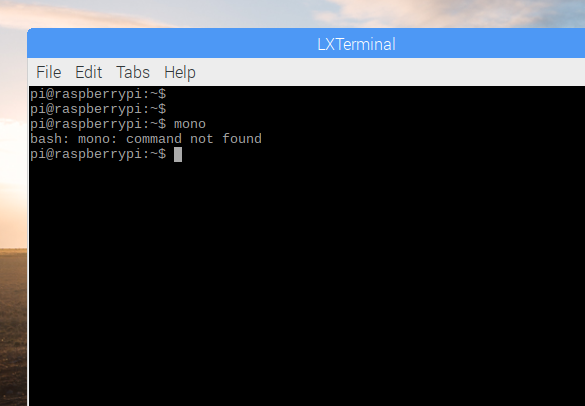 I have realized that the mono installation on Mint is not complete, so in the beginning I had issues which were all resolved as soon as I did a new install of mono by just issuing the command sudo apt-get install mono-complete . You may as well give it a try. 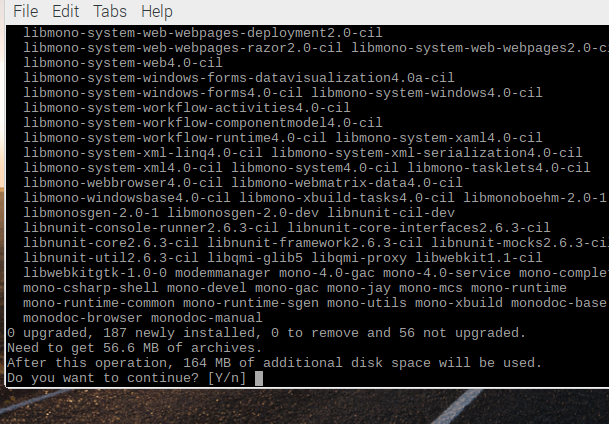 I did install mono-complete. I have also just tried uBITX Manager V1.02 with same result. 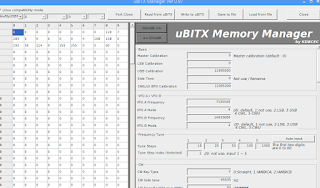 The problem is uBITX Manager offers port options of /dev/ttyS0-31, but the device is connected to /dev/ttyUSB0. 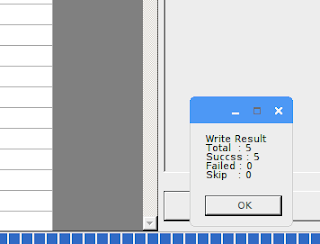 Do you have any suggestion to correct that? 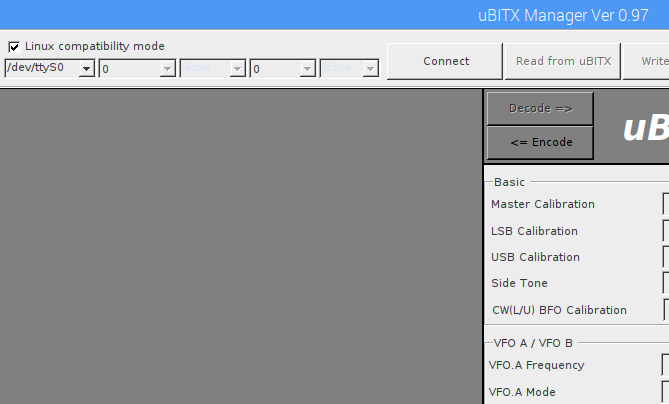 I have used uBITX Manager successfully on another Windows machine. But Linux is my main and preferred environment. I will try to have it installed on my RPi III over the weekend and let you know. The thing is that I ran DietPi, but that should not be a problem. When you plug the Raduino to RPi if you try from terminal: dmesg | grep -i usb and/or dmesg | grep -i tty I wonder if you see the port and then if you unplug it if you get the appropriate message. I have also verified Manager 1.02 both on Xenial and Sylvia and works fine for me. Obviously Raduino (Nano board) is ttyUSB0. But when I received my uBITX the USB on the Raduino did not make good contact and eventually I decided to unsolder it, solder 4 wires on the USB port pins and feed a male DB-9 connector on the back panel of my machine. Since then I have never ran to any USB connectivity problem. A bit unorthodox, many fellow hams may comment, but it gave me a positive connectivity feeling. Strange OM you may say. Hello Jean- Pierre, I will revisit the issue, but let me know first. When you run lsusb do you see your device? If not, chances are for hardware issue, including faulty cable.